The Higher Certificate in Business is a two-year fulltime programme, designed to give students a rich overall perspective of business. Marketing, finance, accounting, human resources, and information technology are all addressed as you are prepared for the world of business and its countless opportunities. On completion, you will have the confidence and knowledge to select and apply appropriate techniques to business problems and opportunities as they arise. 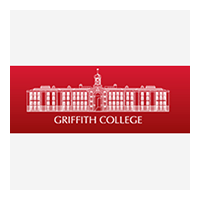 For information about Griffith College Dublin (GCD), please visit our Training Provider page on Whichcollege.ie by clicking here.